On June 22nd, Lithuanian Caritas organised an international picnic in Vilnius near the White Bridge. Both Lithuanians and foreigners gathered to the riverside to share food and have fun together. Amazing event for Integration, where our team had a chance to participate as well! When you plan an outdoor event in Lithuania, you know that weather might not be by your side. Indeed, the forecast wasn’t so optimistic, but, despite the threatening clouds, the picnic had a great success! Around 40 people joined the event, bringing food and games. It was easy to get to know each other: the atmosphere was nice and everyone was so willing to meet new people. 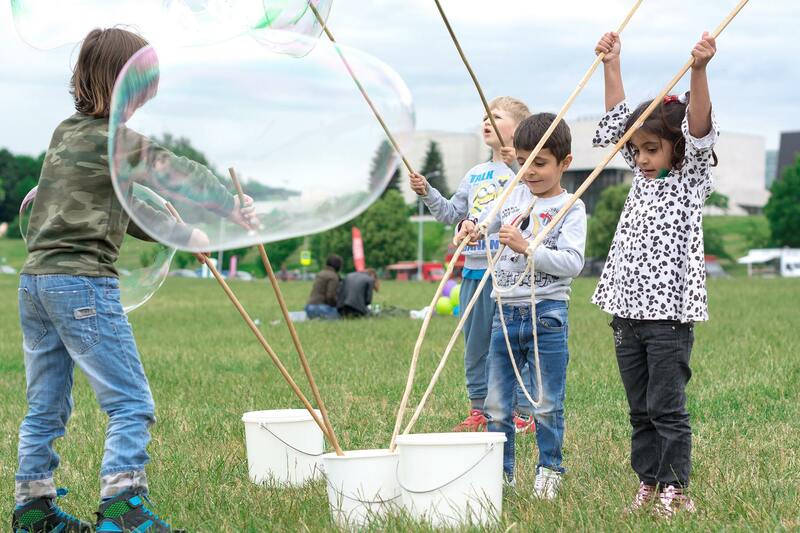 Kids enjoyed soap bubbles and Twister a lot. Language, origin and age barriers were broken down by volleyball and football matches. Time literally flied! Thank you Caritas for an amazing event!